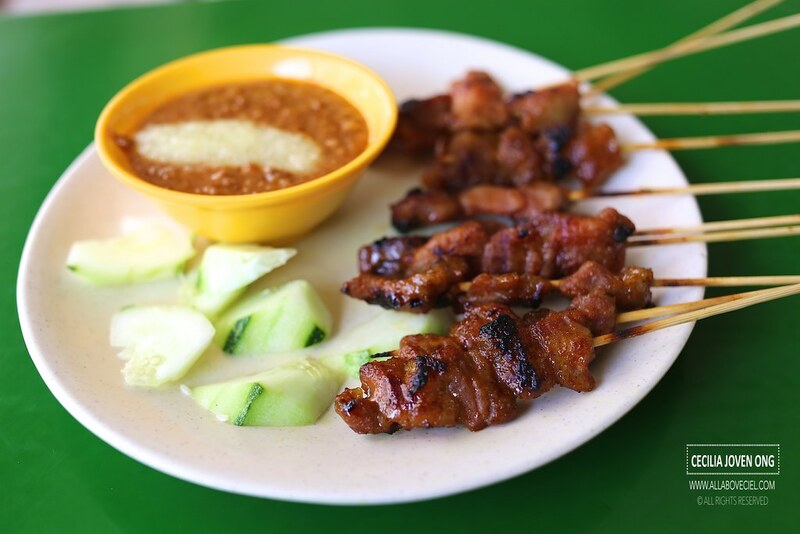 This stall has been around for about 80 years and they are one of those stalls that are serving Pork Satay which is not quite commonly available these days. 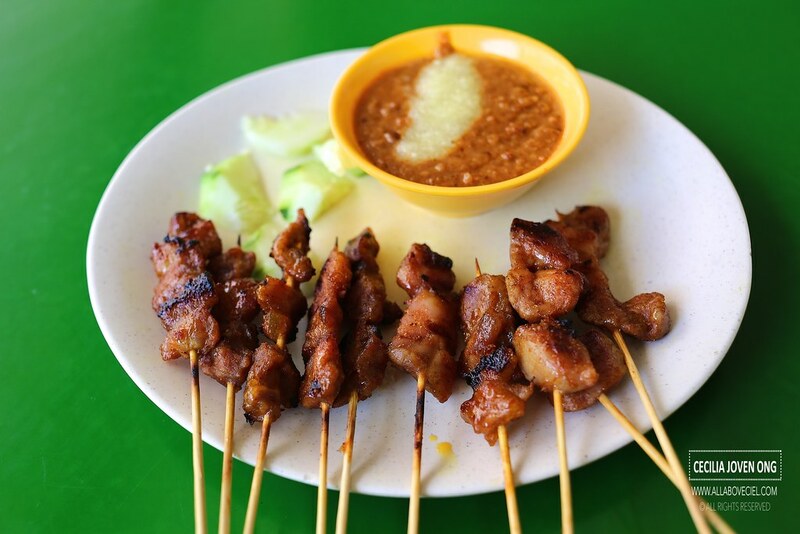 They also serve Chicken and Mutton Satay, all are at 0.50 cents a stick. 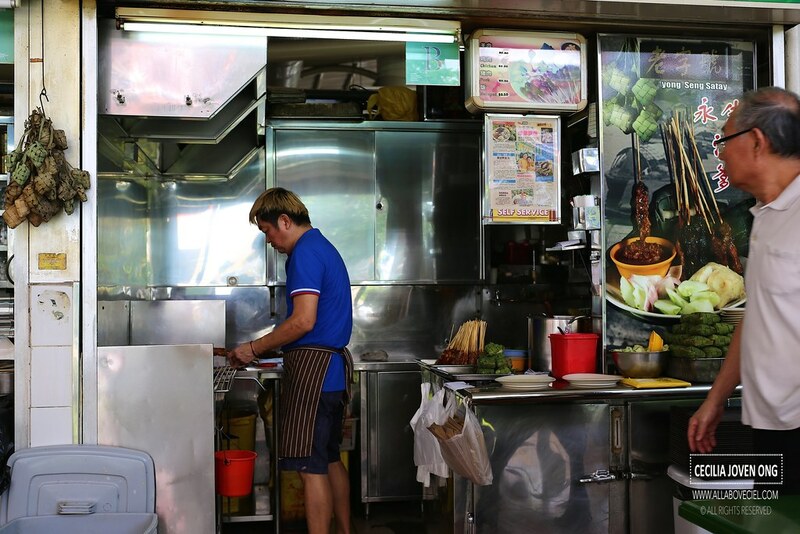 Like most stalls, it is prepared upon order and it took a good 10 minutes when it was served to my table even though i was the only customer at that time. You could spot the chunks of fat in between the well-marinated pieces of meat to give it the desired tenderness but the meat was a bit too lean thus a little too chewy. It was served slightly charred for a rather light smoky flavor, it would be nicer if it is more charred for a more intense flavor. 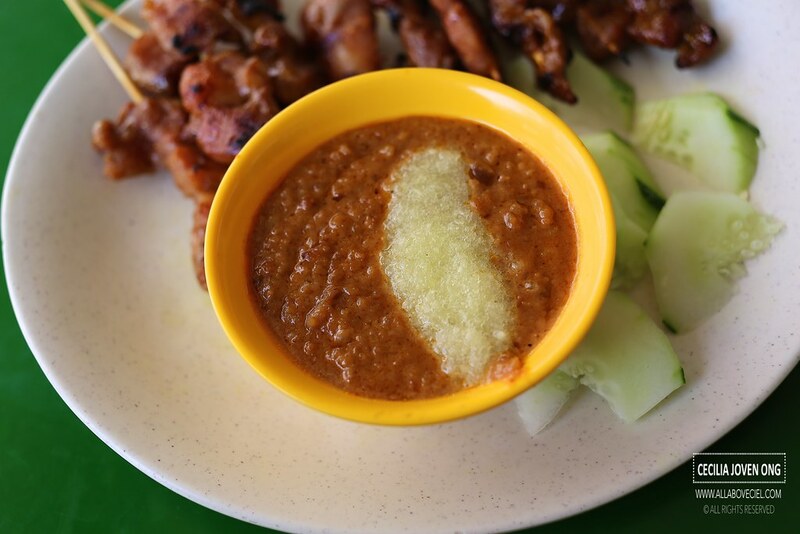 It was served with a chunky peanut sauce, its level of spiciness is somewhat reduced by the sweetness of pineapple puree added, a typical Hainanese way of serving their satay and it is not a common find these days. 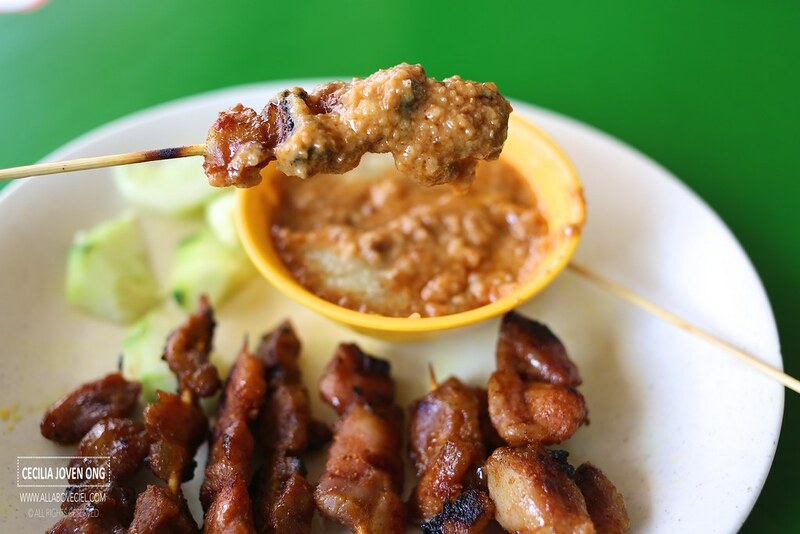 Though these traditional Satay might not be the best that i ever tasted but it is good enough to satisfy a crazy crave.